Quoted in ountry Life , May 7, 2014. When I came across this quote, by one of the great English gardeners, it made my heart sing, as great truths will do. 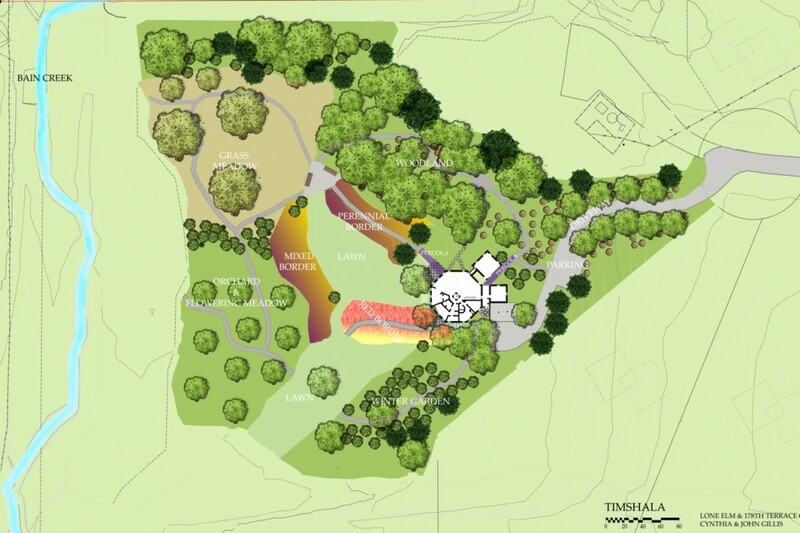 Sometimes we (I actually mean me) forget that making a garden, especially a large garden like Timshala, is not about growing the newest, rarest, most difficult plants. It is about making a place, a space, a surrounding that gives pleasure. Of course, sometimes I crave the blue Daylily or Rose, the double flowered this or everblooming that or variegated [your species goes here]. But mostly, plants that are popular are popular for a reason: they are easy to grow and are probably beautiful. If they seem ‘common’ rather than popular, I think it because they are used in unattractive ways. A mass of yellow Stella d’Oro Daylilies, framed by a mass of red Knock Out Roses is common. 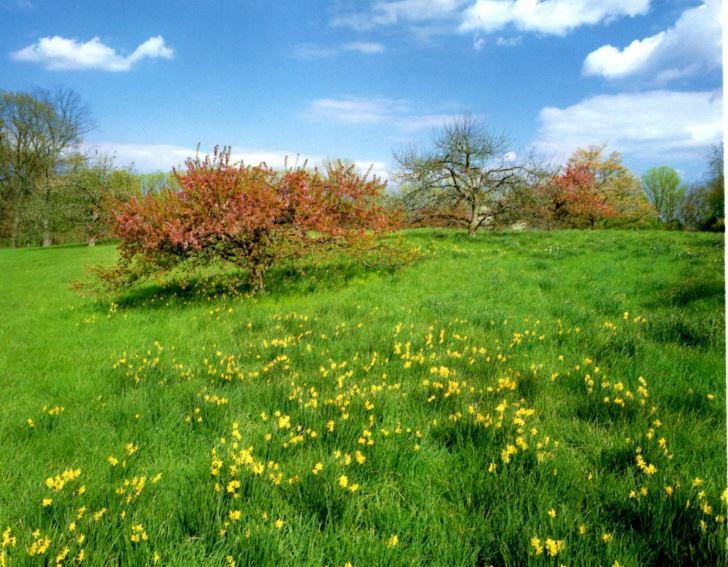 A scattering of the same Daylilies in an orchard, like this. Well, it’s just as easy to grow…but common? Not at all. The sparkle of the jewels of flowers among the arching grasses is a delight. Or, how about that same Knock Out Rose – disease free, everblooming, lush – may I say, ‘easy’ — in a red border that repeats its color and contrasts its shape and texture with (for example) red Heleniums, Coreopsis Red Satin, Echinacea ‘Tomato Soup’…well you get the idea. ← The first spring and we can see a few areas underway – just.